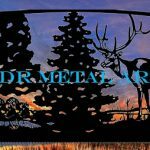 Aluminum vs Steel Gates - Custom Driveway Gates - Iron Steel & Aluminum - JDR Metal Art - FREE Standard Shipping! By Justin Rose, metal designer & fabricator. Which metal is the better choice for your situation? Metal gate designs can be created from either steel or aluminum. Each of these metals has it’s own benefits and drawbacks which should be considered on a case by case basis. When making the comparison between steel and aluminum driveway gates you will probably find that “which one is better” will be entirely subjective to your needs. Learning the different properties of these two metals can help you make the best decision. Often used in the construction of bridges, automobiles and skyscrapers; steel is perhaps the most integral commodity of the modern era. Widely used for it’s strength and endurance. 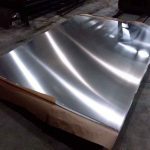 Cost effective and very strong but 3x heavier than aluminum and more prone to corrosion in the form of rust. Here are some Great Danes plasma cut from steel sheet metal. A layer of rust is forming on the surface after the steel was kept outside for several weeks. The rust must always be removed prior to powder coating. Aluminum is a shiny white metal most commonly used for building aircraft, boats and medical devices. Although more costly than steel, It weighs only 1/3 as much and has a very high strength-to-weight ratio which makes less work for both the gate installer and the automatic gate openers. Aluminum’s outstanding corrosion properties are highly desirable for customers living in salty environments such as near the ocean or close to a road that will see lots of salt through the winter. Although aluminum doesn’t “rust” per se, it still suffers from corrosion if strict guidelines are not followed. 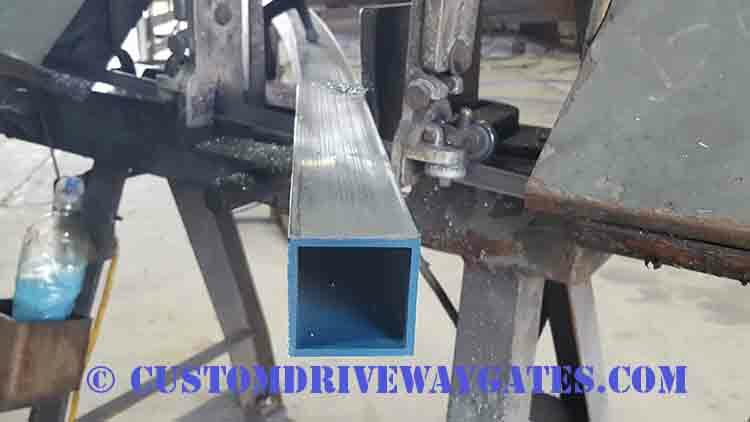 Here are some of our aluminum driveway gates. Although steel is several times stronger than aluminum, steel also weighs several times more than aluminum. A heavier gate means there will be added stress on the gate opener system. A common misconception is that aluminum does not rust. Technically this statement is true because “rust” refers specifically to iron oxide which is created when iron (the main ingredient of steel) is exposed to moisture. While steel corrosion is called “rust” aluminum corrosion is called aluminum oxide or “white rust“. Steel and aluminum will both corrode although at different rates. Given the same environment aluminum will corrode at a much slower rate than steel. For our aluminum gate designs use marine grade aluminum materials because they contain magnesium which makes our gates much more resistant to moisture’s corrosive effects than a purer aluminum would. Proper Powder Coating Adds Long Life to Both Aluminum & Steel! Despite the differences in corrosion resistance between steel and aluminum; advanced powder coating technology allows us to greatly reduce the likelihood of corrosion on either our steel or aluminum gates. We use powder coatings which provide the perfect barrier between metal and moisture. Our steel gates all receive a zinc-rich epoxy primer specifically formulated for exterior applications. The primer prevents the spread of rust by creating an impermeable layer of zinc-infused epoxy directly over the steel surface. The top coat (usually black) goes on last and looks nice but the primer is what does the work keeping the steel gate rust-free for a long time. JDR Metal Art specializes in handcrafting exquisite entry gates for clients from all walks of life. No matter what your needs, we have the perfect solution and enjoy taking on new challenges all the time. Here is a selection of some of our steel driveway gates. You can check out some of our aluminum driveway gates here. Contact Us today for a quote or call 800 805 8254 whenever you’re ready to discuss your upcoming project!